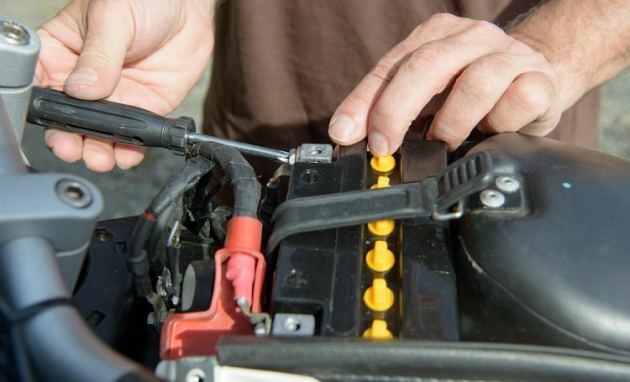 Here’s a quick question: what is the function of the battery in your ATV? If you answered ‘it is used to start the motor on my ATV’ or ‘it is used to power the electrical components on my ATV’ then you are partly right. The battery and the charging system in your ATV are directly related. This means that these two components are designed to work together even though each part has a different purpose. The charging system has 2 basic functions: to power the high-duty cycle electrical loads (such as powering the cooling fans, the headlights, and other accessories) and to charge the battery. Meanwhile, the battery in your ATV is designed to handle the low-duty cycle high current electrical loads, such as starting the engine and powering the winch. ATV batteries can also handle high-duty cycle electrical loads since most ATV batteries have low amp-hour capacities to save weight and to reduce cost. But if the electrical load exceeds the charging system capacity, then your battery will die or run out of juice. 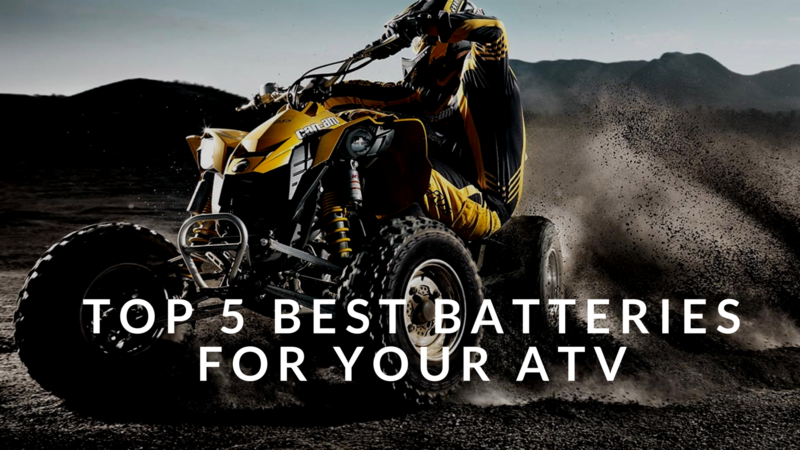 In this article we take you through ATV batteries and how they work, what to look for and then recommend the 5 best ATV batteries on sale today. This is also called the ‘flooded’ battery, which refers to the plates being flooded or submerged in distilled water. This type of battery is equipped with removable filler caps so you can easily refill the plates with bulk acid and distilled water. This type of battery is the cheapest variety. 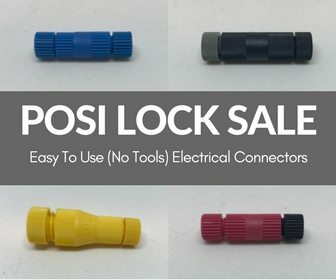 It is good for street applications only. However, ATVs are meant to conquer the beaten path. 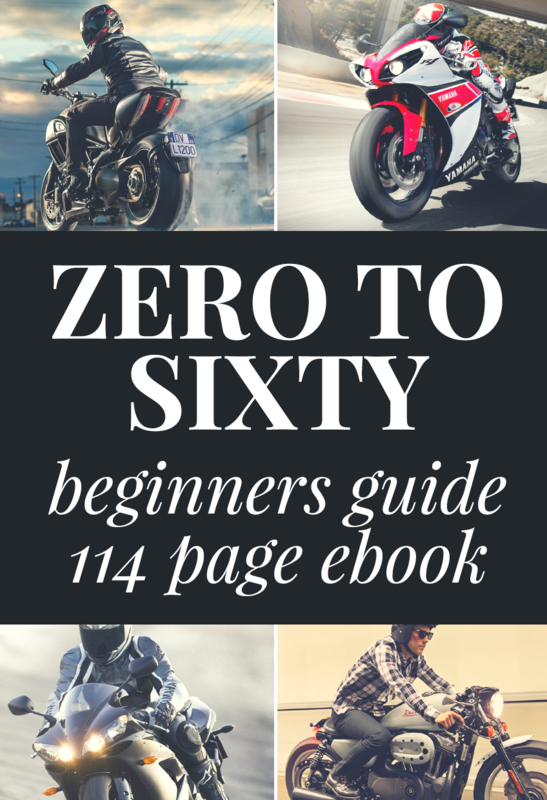 Conventional batteries are prone to spillage, hence they are not ideal for powersports or off-road applications. Worst of all, conventional batteries are not maintenance free. You will need to periodically inspect the water level inside the plates and refill when necessary. If the water dries up, then you run the risk of damaging the plates, hence dramatically shortening the lifespan of your battery. 2. AGM or Absorbed Glass Mat ATV battery. This type of battery was first seen on Honda power sports vehicles in the 1980s and are also called gel-cell or maintenance-free batteries. This type of battery is equipped with fiberglass pads that are wedged between the positive and negative plates inside the battery. These pads will absorb all the electrolyte acid inside the battery. AGM batteries are more ideal for off-road vehicles since there is no danger of spillage. Yes, AGM batteries are more expensive than conventional ATV batteries but you get a lot of useful features for the price. AGM batteries are also more durable and reliable. Most of the time, the AGM battery is constructed from shock-proof and vibration-proof materials. 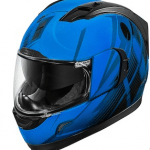 This makes it the perfect choice for your ATV, especially if you are an extreme type of ATV rider. The Battery Tender Lithium Phosphate Battery is 80% lighter than a lead acid battery. It can also last 5 times longer than conventional ATV batteries. Featuring a quad terminal design for hassle free installation, this Lithium Phosphate Battery can be mounted in any direction and/or orientation. But all of this comes at a price. Sad to say, the Battery Tender costs more than $100, which is too much money for a humble ATV battery. 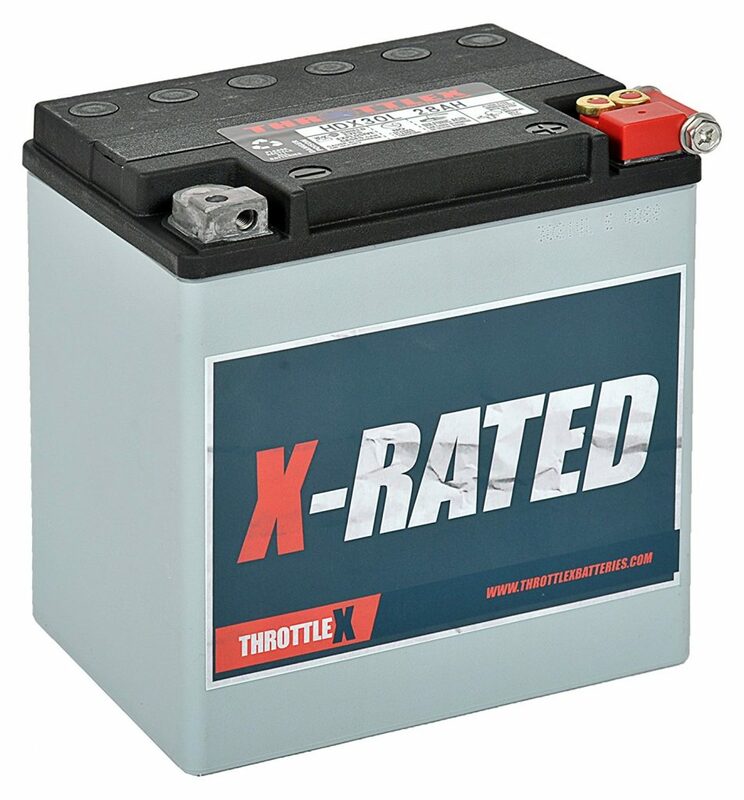 However, since this battery has no liquid and has a quad terminal design, it can be mounted in any type of position without any danger of spilling acid all over your ATV. In extreme cases, you can mount this battery upside down. However, you can’t use a regular 12-volt charger to charge this battery. You will need to use a charger that is specifically designed for lithium-powered batteries. The ExpertPower is a sealed lead acid battery wrapped in a durable and shockproof ABS case. It is worth mentioning that this case is also resistant to heat, chemicals, and vibration. This makes it one of the best ATV batteries for the money. Featuring F1-style battery terminals and a spill—proof design, this battery is equipped with fiberglass mats between the plates to absorb the battery acid. This also means you can orient the battery in an awkward position without any danger of spilling the battery acid. 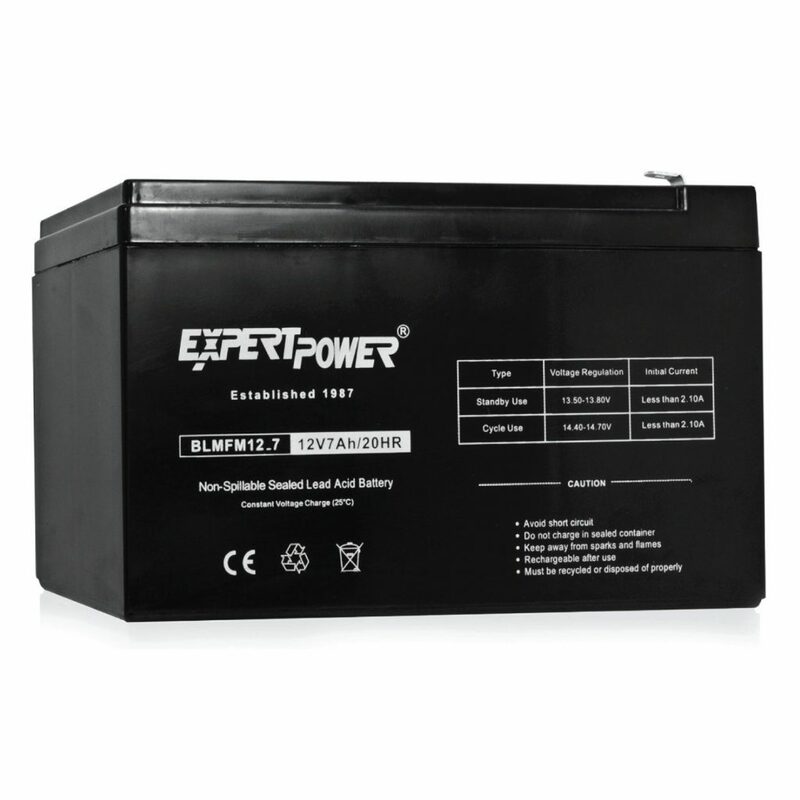 Because the ExpertPower Lead Acid Battery is an AGM battery, it has a long shelf life, long service life, and has a high discharge rate that is capable of delivering high currents on demand. Best of all, the ExpertPower is delivered to you fully-charged and ready to use. No need to activate the battery by trickle charging overnight, and there is no need to put battery acid since the ExpertPower is a fully-sealed maintenance-free design. Oh, and did I mention that the ExpertPower only costs less than $20? The Yuasa is a maintenance-free high-performance battery with a spill-proof design. It utilizes lead—calcium technology that is reputed to last up to 3 times longer than conventional lead-acid batteries. It can also produce up to 310 cold cranking amps, which is way more than the capabilities of lesser quality batteries. The Yuasa YUAM620BH is also equipped with fiberglass mat separators that absorb all the battery acids between the plates. Once this battery is activated and fully charged, there is no need to add distilled water to keep the battery going. It can provide up to 30% more cranking amps that a conventional ATV battery. However, there are 2 downsides to the Yuasa YUAM620BH. First, the battery is shipped dry. You will need to refill the battery using the supplied acid bottle unless the dealer does this for you. Lastly, the Yuasa is not exactly the cheapest ATV battery in the market. It costs around $95 which is a bit expensive if you’ll ask me. The Yuasa YTX14-BS utilizes the same lead-calcium technology and spill-proof design similar to the Yuasa YUAM620BH high-performance battery. However, this particular model is a bit cheaper than the high-performance model but it can still produce up to 200 cold cranking amps. This battery never needs to be refilled with distilled water, but it does require periodic recharging to keep the battery in tip-top shape. 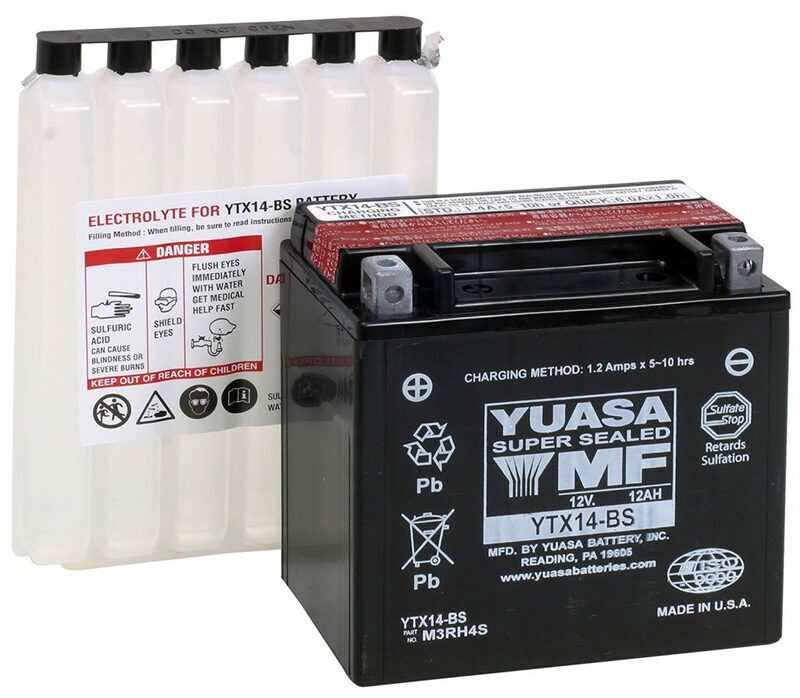 The Yuasa YTX14-BS is also shipped dry, so you will need to fill the battery using the supplied pre-measured acid tubes. The kit also includes a seal that you simply install on top off the battery to create a true spill-proof design. 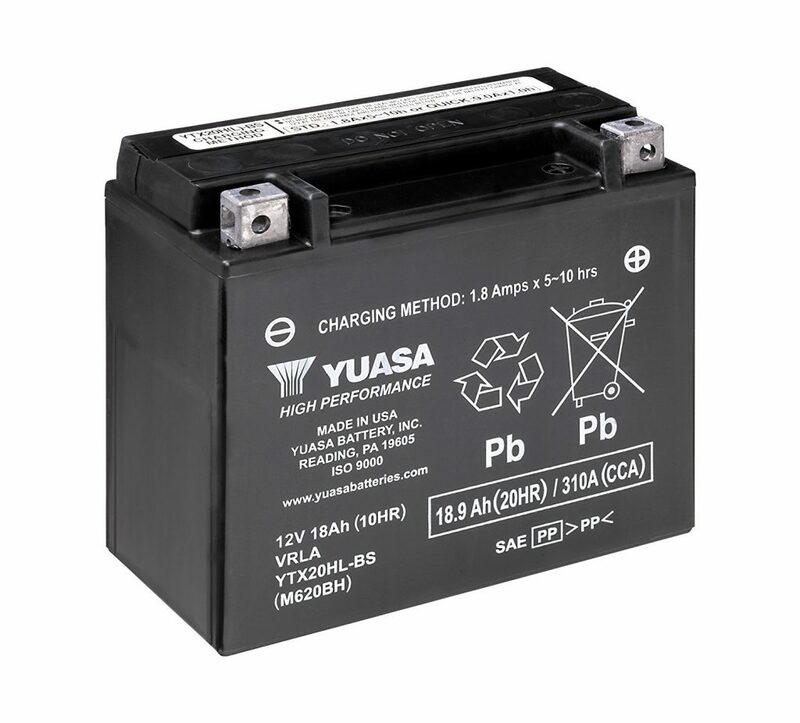 This particular Yuasa battery is great for off-road motorcycles and all-terrain vehicles. It tips the scales at 11 pounds, which is lighter by 2 pounds than the high-performance variety. 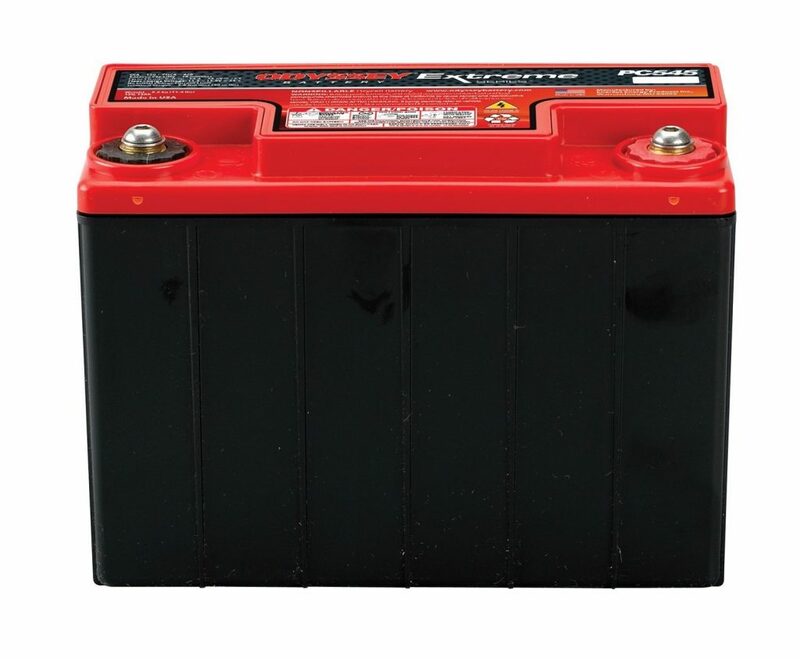 The Odyssey PC545 is one of the best batteries for ATVs and other powersport applications. This particular battery features a rugged construction with pure lead plates and a shock-proof and vibration –proof ABS case. The Odyssey PC545 is designed to provide a longer service life compared to conventional lead-acid batteries. It also has a 70% longer life cycle with a higher recharge efficiency. In fact, this ATV battery will achieve a full charge in only 4 to 6 hours. The Odyssey PC545 also has AGM pads for a spill-proof design. This makes it easy to mount the battery in a variety of configurations. It also has tin-plated brass terminals for excellent conductivity. When it comes to choosing the best ATV battery, it’s a toss-up between the ExpertPower EXP1270 and the Odyssey PC545. I would have chosen the Odyssey PC545 in a heartbeat, but it is hard to deny that the low price of the ExpertPower ATV battery is hard to ignore.